When you buy a tripod it may well come with a head to attach your camera to, but did you know that you can remove this and replace it with something else? There are a wide variety of different types of tripod head on the market, and all of them do different things. This guide will look through the most common types and what the best choices are for you. These are one of the most common types of tripod head. They are quick and easy to adjust, allowing you to manouvre the camera into almost any position at a moment’s notice. Ball heads are best used with lighter combinations of equipment, so they aren’t going to be suitable for a long telephoto lens. However, the biggest problem with them is that they aren’t very precise when it comes to adjusting their position. When you unlock the ball, you’re moving it around completely and not just on one angle or plane. This can be particularly annoying if you’ve spent time leveling it perfectly and only want to adjust it in one direction. 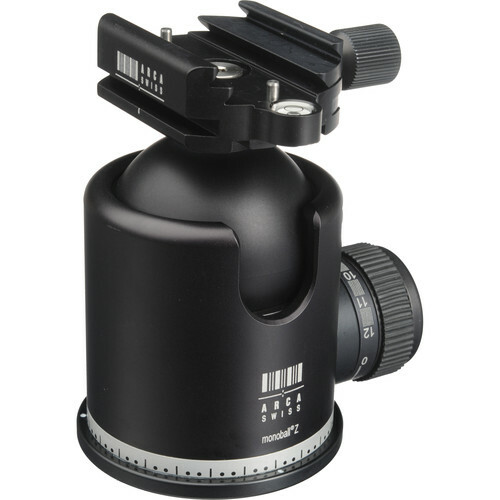 A great choice is the Arca Swiss Monoball Z1, as well as the Sirui K-40x if you’re looking for good value. Pan-Tilt heads are a very popular choice amongst photographers. They allow for more precise adjustments of your camera’s positioning, providing separate knobs for different planes (vertical, horizontal and tilting action). Unlocking each knob allows you to adjust the respective plane, before then locking it into position again. They are consequently slower to adjust than ball heads, but they are far more accurate. The multiple handles also mean this is a bulkier head, so if streamlining your kit is an issue then this might not be the head for you. A good pan-tilt head is the Manfrotto X Pro 3-way head. Similar to the pan-tilt heads, but geared heads instead make their adjustments by turning the handles. This allows for incredibly fine adjustments to the positioning, but it is much slower to use. Manfrotto make a more expensive 405 Pro Geared head, or their Junior Geared head option for those with tighter budgets. A gimbal head is a must-have for any wildlife photographer using a long lens. Telephoto lenses are heavy beasts that are not that easy to move around. If you mount them to a ball head, you’ll probably find that it slips and moves even when the head is locked in one place. Gimbal heads allow you to use their impressive engineering to balance the lens at its centre of gravity, giving you the ability to freely move the lens and leave it in any position without having to tighten the gears. The best gimbal head on the market is undoubtedly the Wimberley Head Mk II. However, there are also gimbal heads such as the Benro GH2. If you’re looking for a real budget alternative, the Manfrotto 393 head is not a true gimbal, but does a similar job. Fluid heads use a sealed liquid to create a smooth motion during panning and other movement. They are essential for those dedicated to shooting video footage, rather than stills photography. Fluid heads are excellent for creating smooth start and stop motions during panning sequences. 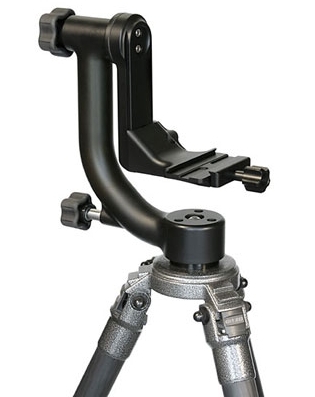 We strongly recommend Sachtler as your choice for fluid head systems. Pistol grip heads are very similar to ball heads in their movement, except that you squeeze the handle to unlock the head and make your adjustments. They’re very quick to adjust, but they can be awkward to use as moving whilst simultaneously focusing the camera and taking images is not always possible. 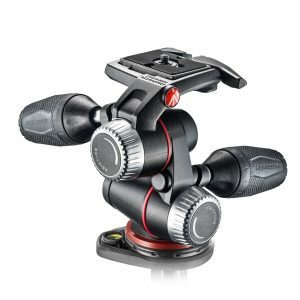 The Manfrotto 324RC2 grip head is a good choice if this sounds like your calling. It totally depends on what you find yourself doing most of the time. For landscape photographers, a ball head or pan-tilt head would probably be best. If you’re a wildlife photographer using a long lens, then I can’t recommend a gimbal head enough. They are more expensive, but buying a gimbal head was probably one of the best purchases I made as a photographer.